To say the game Candy Crush Saga has become a craze is an understatement. With hundreds of millions of downloads, the “free” game is generating close to a million dollars a day for its developer, King.com. A big key to the game’s popularity is its highly addictive nature. Even if you aren’t in the casual game business, there are some important lessons we can take from its success. Is Candy Crush Saga the most addictive game ever? Most games let you play as often and as long as you want. After all, to arbitrarily limit players would be annoying, right? As it turns out, the limits Candy Crush players have to endure are one of the key ingredients in its addictive power. Players get just five lives before they have to wait 30 minutes. Some spots in the game force a player to wait until the next day. Rather than annoying the players, these breaks in the action prevent binge-playing and the game never wears out its welcome. “Scarcity” is one of the six influence principles enumerated by psychologist Robert Cialdini, and many experiments have shown that we have a built-in preference for items in short supply. Candy Crush exploits this well, and you can too. If you can demonstrate that your product is limited in supply, hard to get, or available only for a specific time, it will be more attractive than if it appears abundant. “Free” has a powerful effect on our brains. Experiments by Dan Ariely and others have shown that a free item is far more attractive than a really cheap one, say, a penny (see The Power of Free). Candy Crush is free to download and free to play, which takes all risk out of the “purchase” process. While many players never pay at all for the product, King earns massive revenue from players willing to pay small amounts to resume play more quickly or clear a difficult level. Some products are well-suited to free offerings. Business software firms often use the “freemium” model that gives customers a functional but limited product for free. If and when the customer finds the product useful, he can upgrade to the fully-functional paid version. But physical products cost money and can’t be given away in most cases. Even then, “FREE” can be used to increase appeal – free shipping, a free complementary product, free upgrades, etc. still evoke the “something for nothing” feeling in our brains. While one can certainly approach Candy Crush with as much mental intensity as a game of chess, getting started is ridiculously easy. The rules are simple, and the small number of special combinations and game pieces makes learning almost unconscious. Compare the game to a typical console game that features a controller with a dozen buttons, joysticks, etc. that can be used to generate dozens of unique moves – there’s no mental load from playing Candy Crush. Even advanced levels can be played with low attention, though it may take many more tries to clear using mostly luck instead of strategy. Nobel prize winner Daniel Kahneman showed that our brains like simple strategies and resist complex, analytical thinking whenever possible. (Read his recent book, Thinking Fast and Slow, for a very accessible account of his insights into how our brains work.) Anything that you can do to make both your processes (like placing an order) and products so easy they require little thought will increase your sales. Who doesn’t like colorful candy? King could have used any kind of images for its game pieces – jewels, for example, as in the earlier matching game, Bejeweled, or scary-looking skulls as in the Roxio game, Trucks and Skulls. But our brains associate candy with pleasure, and the imagery is all positive. “Liking” is another of Cialdini’s basic principles of persuasion. If you are more likable, or if your products are more likable, you’ll be more successful. One great way to build likability is to show common attributes or interests you share with your customers. If you sell to car enthusiasts, show that you are crazy about cars too. At the very least, show your humanity – there’s a reason politicians often show photos of themselves surrounded by family and pets. Just about every game employs some kind of reward system to keep players engaged. Complete a level on Candy Crush, and there’s a little frenzy of on-screen activity as various pieces explode, taking out other pieces. Even in the middle of a game, a good move will generate a voice reward like, “Sweet!” or “Delicious!” Earning a special game piece (like a striped candy) with a good combination move is in itself a reward – the player knows that piece will help win that level. Rewards, of course, are central to the concept of gamification. Today, many businesses are incorporating gamification into their processes to keep customers and even employees engaged. You’ve no doubt noticed that previously staid websites now alert you that you’ve earned a badge for performing some task on the site, or visiting multiple times. Our brains respond to these little bursts of encouragement. Gamifying a customer experience won’t fix fundamental problems with it, but if the experience is otherwise smooth it can keep customers engaged longer or even bring them back. 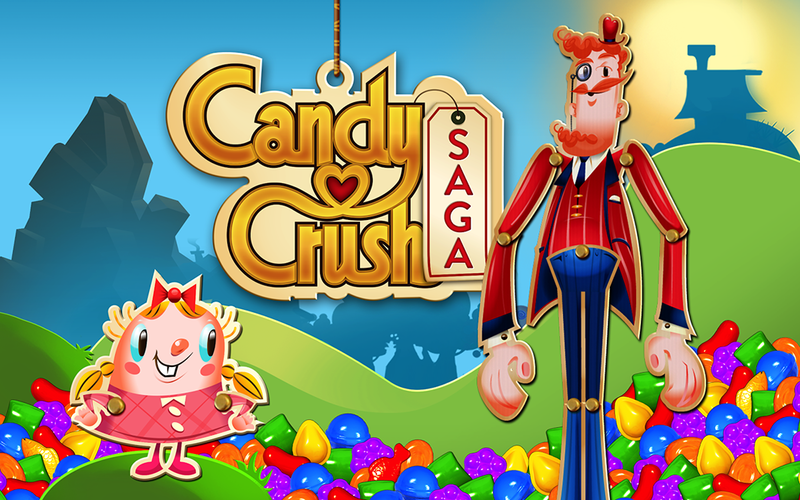 For players that log in with Facebook, Candy Crush allows viewing the progress of friends as well as demonstrating one’s own prowess in clearing levels. This shared experience is relatively benign – it’s not like the Mafia Wars spam of old that resulted in people unfollowing friends to stop the flow if invitations and notifications. Rather, it shows that your friends are enjoying the same guilty pleasure and can set up friendly competition. As humans, we are wired to be social beings. Building in a social element to your business processes can have a big impact on results. If potential customers see that their friends “like” your business, you have a big advantage over competitors lacking such social proof. Sometimes, even mere numbers are enough. Like the restaurant with the crowded parking lot, if your business can demonstrated lots of social activity your credibility and attractiveness will be enhanced. Are your sales likely to skyrocket to a million dollars a day? That’s a tall order for most companies, but if you can employ a few of the strategies that made Candy Crush Saga amazingly successful you’ll definitely boost your own results! For a different angle on the power of this game phenomenon, read Candy Crush Saga: The Science Behind Our Addiction by TIME’s Eliana Dockterman. Do you have any other insights from King.com’s success? Are you using gamification on your website or as part of another business process? Share your thoughts in Straylight’s group TopBox on LinkedIn. Roger Dooley is the author of Brainfluence: 100 Ways to Persuade and Convince Consumers with Neuromarketing (Wiley, 2011). Find Roger on Twitter as @rogerdooley on Brainy Marketing on Forbes and on his website, Neuromarketing. Roger Dooley is the author of Brainfluence: 100 Ways to Persuade and Convince Consumers with Neuromarketing (Wiley, 2011). 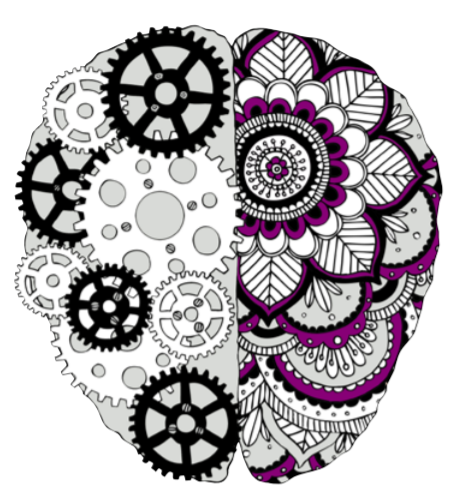 Find Roger on Twitter as @rogerdooley on Brainy Marketing on Forbes and on his website, Neuromarketing.